Tomorrow we’ll be looking at what happened with The Romanians over the last week and why it matters. It’s definitely a weird video, from the inappropriate telemarketing voiceover to the overflowing pathos. It is riddled with clichés, which is a cardinal sin in itself. Most notably, it perpetuates myths and lies about Romania’s history. I went through the clip multiple times to check the claims it contains so that you don’t have to waste your time and brain cells with it. Claim: Romania is home to the last wild wolves in Europe. Facts: In recent years, wolves have begun making a comeback across Europe, in Belgium, Germany, the Netherlands, Luxembourg, Denmark, Finland etc. At best, the information is outdated. Additionally, the clip uses stock footage of wild wolves from Norway. Which definitely complicates matters. Read more. Facts: Dracula is a fictional character. Read more. Claim: the first instance of human flight using a heavier-than-air vehicle took place in Romania. Facts: Traian Vuia was Romanian, designed the first monoplane, and proved a heavier-than-air craft could fly. However, he received his degree from the University of Budapest, and went on to build his aircraft and test it in France. Read more. Claim: The first jet engine and jet plane were both built in Romania. Facts: In 1910 the Romanian inventor Henri Coanda filed a patent on a jet propulsion system. It was installed in his Coanda-1910 but there are contradictory contemporary accounts about whether the aircraft actually flew. Coanda himself only described it as the ‘world’s first jet’ in the 1950s, 4 decades after its creation. Claim: The first woman engineer was in Romania. Facts: Elisa Leonida Zamfirescu was indeed a pioneer, one of the first women engineers in history. However, she received her degree from the Royal Academy of Technology in Berlin, after being denied admission into the School of Bridges and Roads in Bucharest because she was a woman. One could argue she became a pioneer in spite of Romania, not unlike the two gentlemen above. Claim: The world’s first oil refinery was built in Romania. Facts: Romania was the first country in the world to have had its own production officially registered. It also was one of the first countries in the world to open a large oil refinery (as opposed to earlier ‘refineries’ which were simple workshops for manual processing of petroleum - i.e. nothing more than distillation). Read more. Claim: The first European city to be electrically illuminated was in Romania. Facts: Timisoara was one of the first European cities to be fitted with public electric lights. However, at the time, in 1884, Timisoara was firmly part of Austria-Hungary. Moreover, both Nürnberg and Berlin were fitted with electric public lighting in 1882. Read more. Claim: The fountain pen is a Romanian invention. Facts: While reservoir pens date back to the 10th century, it was Petrache Poenaru who patented the fountain pen on May 25th, 1827. He invented it while he was studying in Paris (which is not in Romania). Read more. Facts: Nicolae Paulescu was professor of Physiology in Bucharest and was quite close to the discovery of insulin but researchers in Toronto were faster and more efficient. Frederick Banting and John Macleod won the Nobel prize, which Banting shared with Charles Best and Macleod with J. Collip. Paulescu’s contribution in insulin discovery was recognized after his death. Read more. Claim: The cholera vaccine is a Romanian invention. Facts: Sir Waldemar Mordechai Wolff Haffkine, Russian-Jewish émigré to Switzerland and then France, is widely recognised as the first microbiologist to develop an anti-cholera vaccine, tested successfully in India between 1893 and 1903. Read more. Claim: The Romanian Parliament is the largest building in Europe and 2nd in the world. Facts: It helps when you know exactly what “largest” means. Obviously, it’s not the tallest building in Europe or 2nd tallest in the world. It also doesn’t crack the global top 10 if we’re talking volume/usable space or footprint on the ground or floor area. The most it can claim for itself (despite having no alibi whatsoever for being so u.g.l.y.) is that it’s the largest parliament building in the world. These myths, many of them cemented in people’s consciousness over decades of nationalist-communist propaganda, are perpetuated by the government in the year of the Centenary, almost 30 years since the fall of communism. Why is this - beyond the immediate answer of ‘because it’s politically expedient’? For starters, PSD lives and breathes nationalism and populism. It is the direct descendent of the Romanian Communist Party; this is how nationalist and populist parties like to talk, down to the telemarketing-style affectation and being loose with the facts. If by July 2019 this blog manages to persuade anyone to stop looking at PSD as a Social Democratic party and instead categorise it as a populist/nationalist party, I will be happy. Then, I believe a good deal of it is pure incompetence. Someone drafted a list of factoids and ‘accomplishments’ they had memorised since primary school and regurgitated them uncritically into a script without a narrative line, probably deciding it’s not worth verifying that everything is correct. I’d go as far as to say this reflects the level of expertise and knowledge of the majority of people promoted through party structures into public administration, but that’s a discussion for a different time. 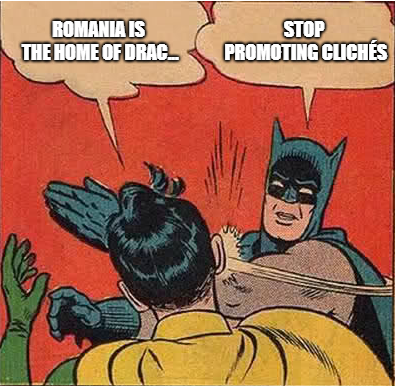 Lastly, this video is a microcosm of Romania’s inferiority complexes. Why does everything need to be superlative? Why is everything Romanian exceptional and the absolute best? The video also perpetuates the myth that Romania, this “isle of Latin-dom in the Balkans,” is the direct descendant of Rome and Dacia, as if in the 1700 year-interlude since, Romanians didn’t mix with migrating peoples and other neighbouring cultures. Being called a ‘Balkan country’ is still taken as an insult by many Romanians, as the modern identity was built in opposition to the Slavic nations of the region. We are witnessing a resurrection of protochronism for the digital age: history is abused to serve the narrative of the ruling party, presenting an idealised version of history based on questionable data and dodgy interpretations. It is presented in an easily-shareable and visually appealing format that artificially inflates feelings of patriotism and belonging.